Would you like to discover rural Portugal by car then this is a great option. The city of Arganil is the first town on this route. Let the street signs guide you in the direction of Góis. A beautiful green and windy road through the hills will bring you to this town at the river Ceira. Don’t miss the ancient bridge crossing the river. There are several beaches dotted on the shore of the river that ends in the Mondego. Great suggestion for Motorcycle enthusiasts: Every August the is a great biker’s party in Góis. During these three days the peaceful and quiet town is visited by over ten thousand bikers and there are shows from national and international artists. After Góis the road continues to Lousã. When we went to Lousã the first time we were intrigued by an advert that invited us to visit Lousã in April where a gastronomic event is held at the weekends. This event is all about goat and all restaurants serve goat then. As usual we already had an appetite well before any restaurant opens. Therefore we decided to explore the area. We saw some signs “Lousã Castle” and decided to follow them. When we saw the castle we forgot all about the time or the appetite for goat. 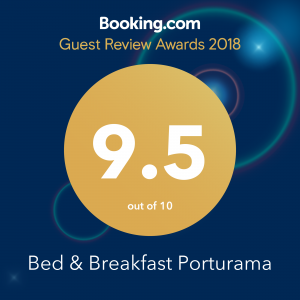 The castle is beautifully situated together with the chapel “Senhora da Piedade” (Lady of Mercy) and only a few hundred metres away is a monastery with a restaurant. From this point several trails disappear into the woods for a beautiful hike varying from 2 to 6 kilometres. The 6km one takes about 3 hours and requires you to be fit . The whole area, including the chapel, is easily reached by foot. After this beautiful experience we drove to the centre of Lousã and enjoyed a great local meal and of course we ordered goat, delicious!